Thane district lies in the northwest of Maharashtra state. The topography of Thane shows the western part as a plateau and hilly terrain. Eastern boundary of Thane is guarded by the Sahyadri Mountains. Like other coastal regions of Maharashtra, among many Thane tourist attractions the city offers lots of sunny beaches on its borders with Arabian Sea. Dahanu-Bordi Beach – popular for its Chikoo orchids, Dahanu in Thane district is just around one hundred forty five km from Mumbai. Bordi is twenty km from Dahanu. 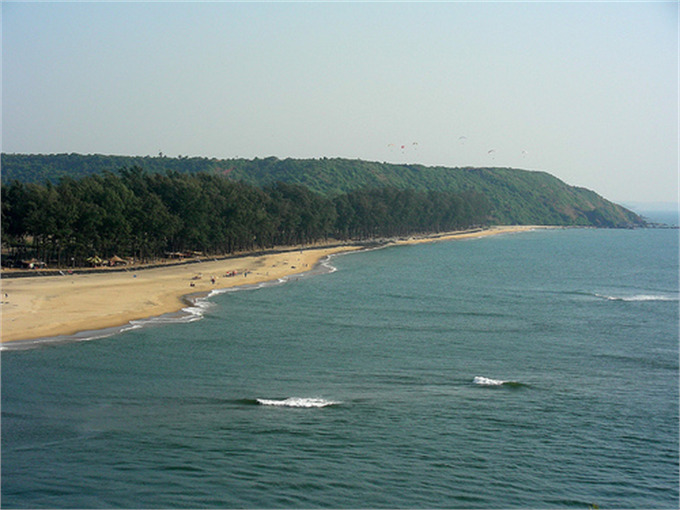 There are many tidy and safe beaches along the seventeen km long Dahanu-Bordi sea stretch. These beaches offering cool romantic breeze are best for family and group picnics throughout the year. Along with the unexplored beaches there are many other tourist attractions like Bahrot caves, Dahanu fort, and Asavli dam. Kelva Beach – Just eight km from Palghar and one hundred forty km from Mumbai this pristine beach is a huge seven km long expanse on the Arabian Sea. Most popular among one day picnickers from the adjacent cities it is always bustling with cheering crowds. The tall suru trees bordering the beach add to its beauty. Nearby attractions are Kelva fort and Sheetaladevi temple. Shirgaon Beach – This ideal one day gateway near Shirgaon village in Palghar is the most impressive beach near historical Shirgaon fort. View of Shirgaon village and the shimmering Arabian Sea from the fort during sunset is mesmerizing. Boating facilities for the adventure lovers are available at this destination. Satpati Beach - This beach which can be described as tranquil, serene and beautiful is neighboring the Shirgaon beach. The fishing hamlet of Satpati with abundant palm trees offers a great company of the traditional fishing village. A temple of the deity Ram located near the beach is visited by most of the visitors. Tourist places in Thane are adorned with these beaches which are the best nearby venues for relaxation and entertainment.